G&B Fuels is a Canadian supplier and Distributor of Fuel for Independent Gas Stations, Agriculture and commercial in the Alberta, BC, Sask and Yukon Regions. 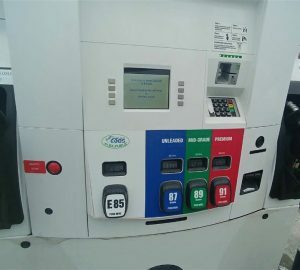 G&B Fuels is a Canadian supplier and Distributor of Fuel for Independent Gas Stations, Agriculture and commercial in the Alberta, BC, Sask and Yukon Regions.. Proponents Say E85 Is Environmentally Friendly, Fights Global Warming, and Can Reduce Our Dependence on Fossil Fuel. But Don’t Hold That Against It, Hot Rodders: It Can Also Be an Ideal Performance Fuel. Here’s What You Need to Know.